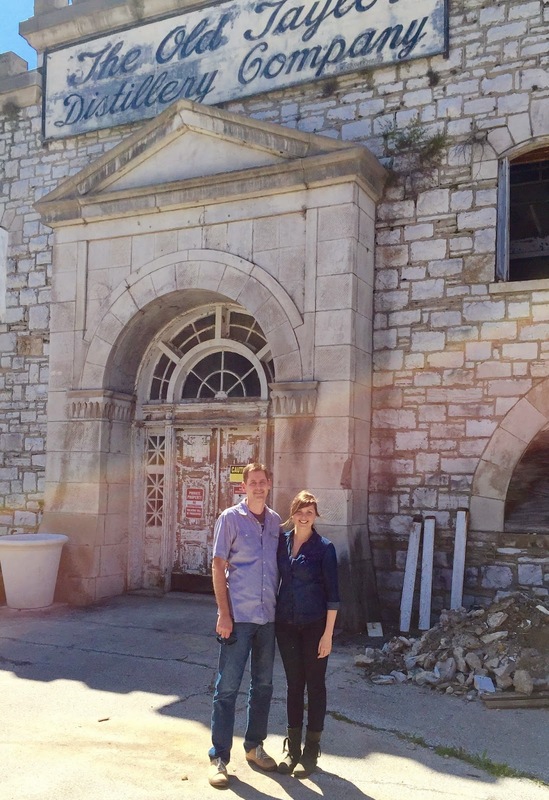 Life and Passion Return to the Old Taylor Distillery. I’ve heard stories and seen pictures from people who have snuck onto the Old Taylor grounds near Millville, Kentucky, on Glenn’s Creek between Versailles and Frankfort, but I had never been there myself before this past weekend. Apparently I was waiting for the right opportunity, and for once I’m glad that I waited. The property is in the midst of a $6.1 million revival (or up to $9 million in other press reports), and while it might not ultimately be called “Old Taylor,” I’ll stick with that name since it’s the historical name. Marianne Barnes, who until being named Master Distiller for Old Taylor worked as Master Taster under Chris Morris at Brown-Forman, gave us a personal behind-the-scenes tour, and described the plans for renovations. Marianne is on her way to rock stardom. She’s a professional beyond her years, and her passion and vision for the Old Taylor property is inspiring. While another distillery should have hired the first female Master Distiller long ago, Marianne’s breaking of the barrier is icing on the cake. The Old Taylor property was built by Col. Edmund H. Taylor, Jr., who was one of the Bourbon pioneers in the 1800’s and 1900’s. He owned or had ownership interests in many renowned distilleries throughout Kentucky, and he was a larger than life figure in Kentucky Bourbon, banking and politics. 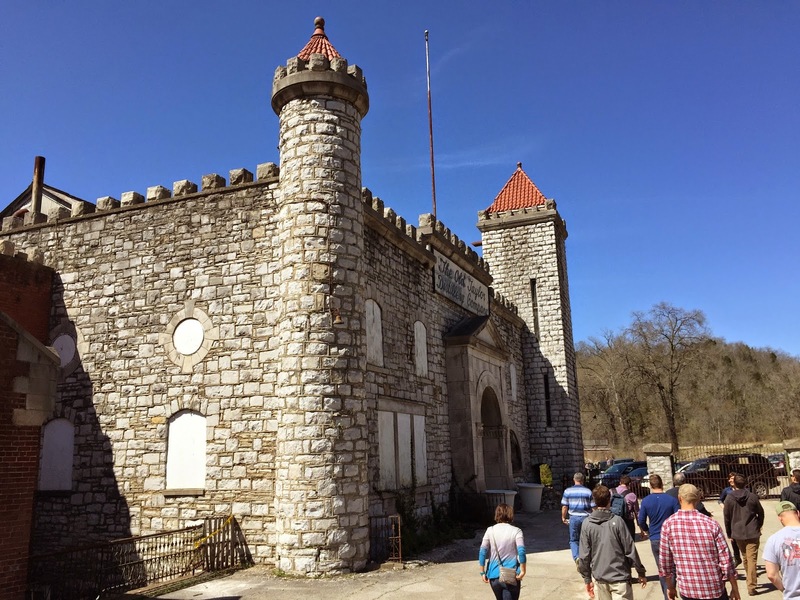 He built this literal castle of a distillery in 1887, just 2½ miles away from another distillery that he once owned in part, the Old Oscar Pepper Distillery, and not far from the O.F.C. in Frankfort, which he also owned. Col. Taylor continued to transform the Bourbon industry at the Old Taylor Distillery. He successfully fought off his former partner, George T. Stagg, to retain the use of his trade name and the famous script signature that he used on his bottles (link here); he pushed for enactment of the Bottled in Bond Act of 1897 (link here), and he took the laboring oar in fighting off rectifiers (link here). The Old Taylor Distillery is big for today’s standards, let alone in 1887. Col. Taylor used one of the world’s largest stills, he built one of the world’s longest warehouses, and he was the first to bottle one million cases of straight Bourbon. 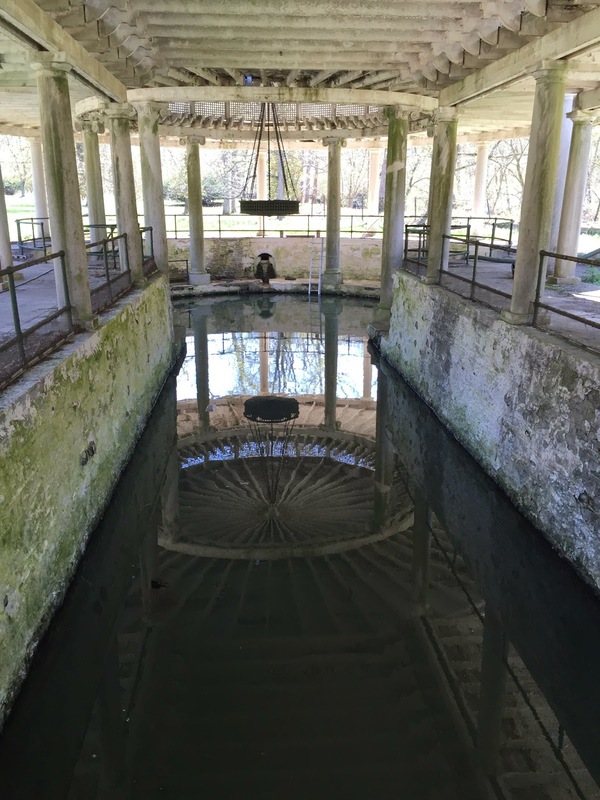 Col. Taylor used limestone spring water from the property, and he built an ornate colonnaded spring house complete with limestone pillars, roses and a chandelier over the spring. Even in its near-apocalyptic current state, the grandeur of the Old Taylor Distillery is evident at every turn. The distillery closed in 1972, but the warehouses were still used for aging until the 1990’s. Owners through this time did the unthinkable to such a treasure – they let it crumble. 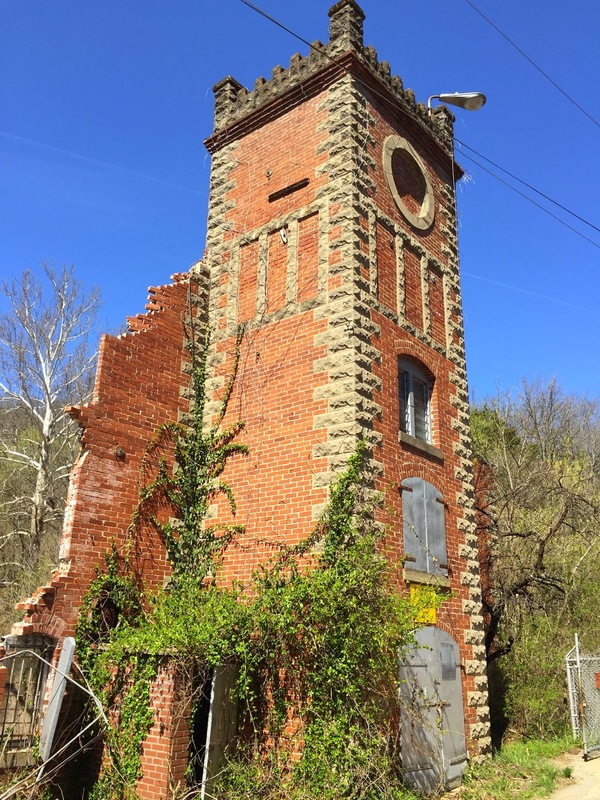 It was essentially sold for scrap, including to an Atlanta group that ripped apart some of the buildings for “vintage” brick, stone and lumber, further contributing to the property’s demise. Fortunately, the current owner, Peristyle LLC, had much more noble plans, with the ultimate goal of returning the Old Taylor Distillery to greatness. (“Peristyle” means “a colonnade surrounding a building or court,” invoking Col. Taylor’s magnificent spring house.) 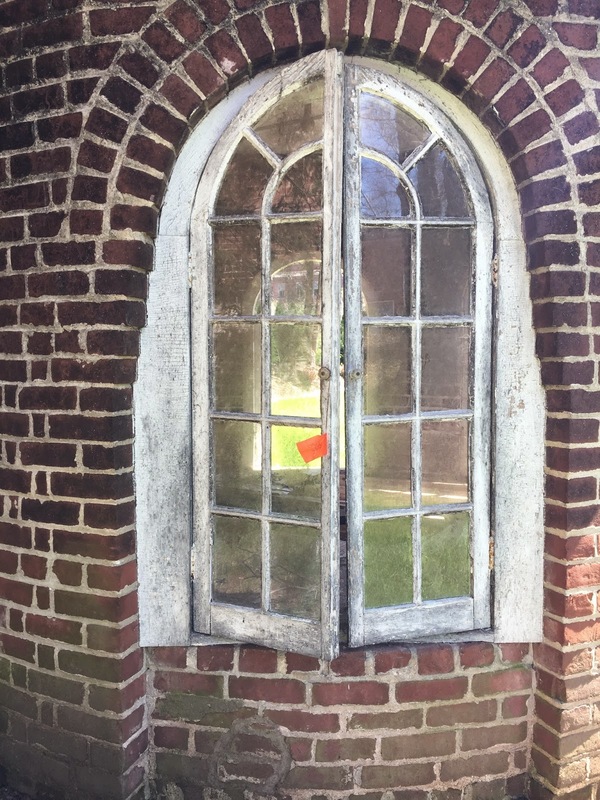 When renovations are completed, the spring house will be used as cocktail garden, and cocktail herbs will be planted around it. Marianne plans for the first distillation run to be in November or December 2015, with the core brand being a traditional Bourbon, but she will also produce gin. Sazerac should keep in mind that the use of “Old Taylor” as the name of the distillery is not trademark infringement because it is a historically accurate geographic name. While Country Distillers could prevent T. William Samuels (a/k/a, Bill, Sr.,) from using “Samuels” as a brand name (link here), and while National Distillers could prevent K. Taylor Distilling Co. from using “Taylor” as a brand name (link here), this dispute is more like the 1880’s lawsuit where James E. Pepper tried to prevent Labrot & Graham from using “Old Oscar Pepper Distillery” as the name of the distillery that is now Woodford Reserve (link here). One of Oscar’s sons, James Pepper, gained control of the distillery, but he soon was forced into bankruptcy and lost the distillery. Labrot & Graham purchased the distillery and continued to call it the “Old Oscar Pepper Distillery.” James found his financial footing and sued Labrot & Graham because he believed that only he should be able to use the “Pepper” name. Labrot & Graham won the case, however, because they owned what was actually called the “Old Oscar Pepper Distillery.” The court ruled that reference to “Old Oscar Pepper’s Distillery” meant the place of production, and was not a trademark. While Peristyle might be legally entitled to use the name “Old Taylor Distillery,” I suppose there are good reasons to not use it as a primary name, but still find a way to honor Col. Taylor’s legacy. Whatever Marianne and Peristyle decide to name their legendary distillery, expect big things, just like Col. Taylor would have wanted. ← Sipp’n Corn Bourbon Review – I.W. Harper Returns. Thanks Dan, and glad you liked it! That's a great idea for a future post … I'll look for some lawsuits during that time period.